Disclaimer: I don't own one or used one before but I do know of its existence. As I see it, that blade is too thick. The angle of the edge is also too steep so I think it would not give a nice vertical cut. And wit that thickness it would be displacing too much plastic, requiring lots of pressure to cut through the material. I'm still waiting for @CRL to reveal the source for those single-edge razor blades sharpened only on one side. Seriously, I have no idea what I was trying to say in that comment about the “flat side” of the blade. Oh well. . . I thought you might have found a new and useful item and was ready to get some. Somebody needs to redesign this to be used with a less flexible blade. Think I might just try the exacto knife with #11 blade with a metal straight edge, and see how I do. I can be prone to cutting/slicing open my fingers. 2 Emergency Dep't. visits so far! Yes Mike, that thicker utility knife blade might cut basswood well, but I still say that trying to cut styrene will not be as easy. Basswood is soft and easily displaced by the thicker blade., Styrene is denser with less "give". I guess only Rod could answer whether he used that chopper on styrene, how thick and wide the cut material was, how easy it was to use, and whether it left straight vertical surfaces. Does anyone have the Chopper? How good is it? 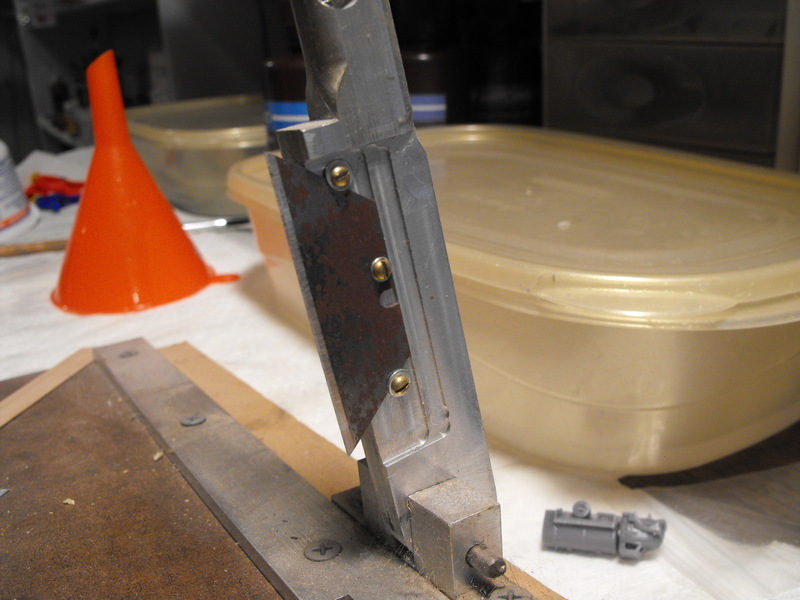 I need to cut some small styrene strips for caboose window drip guards. Late to the party, but... I have an original NWSL version, and I like it very much. I've used it so much that there's a big gouge where the blade contacts the base plate, and I've been tempted to rebuilt it with a new base. 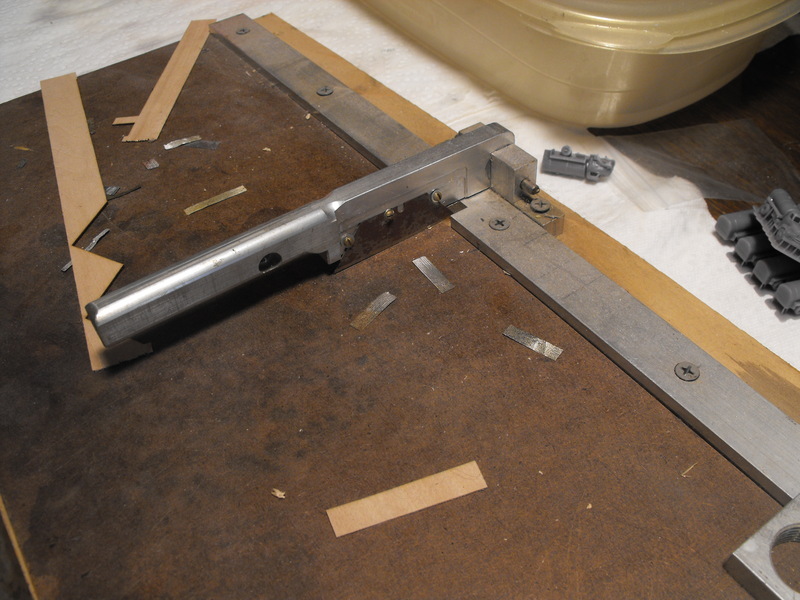 And, using a straight-edge razor blade--as opposed to a utility or other blade--has its advantages when using it for small strip styrene material, as others have noted. The Micro-Mark version has been derided by many as a "knock-off," but there are very practical business reasons for its existence. That's all I'll say about it, other than it's functionally identical. Well, it maximizes their profit margin. I used to buy lots of tools from them for many years. Even big ticket items like my Sheline lathe (when they still carried them), the miniature table saw, and several other miniature power tools. But with the advent of Internet, I can now find many of the items they sell for much lower prices. They seem to really inflate their prices (I see it as gouging, but you'll probably disagree). Sure, they are a convenient single source of specialized miniature tools and supplies, but if I can find the same item less expensive elsewhere, I'll go for those. Pete is right about cutting styrene with a blade like mine and I only use it for soft woods. I also have a NWSL chopper that I use for styrene up to about .040 thick. For any thicker, I use my modified Harbor Freight mini chop saw to get a true 90 degree cut. I'm waiting for the "Ultra" Chopper, with the ultrasonic cutting blade. Until then, I built similar to Rodney's, but not as pretty. About 6 bucks aluminum stock and hardware from Menards.